‘More for more!’ When it comes to honey, we trust Winnie the Pooh. 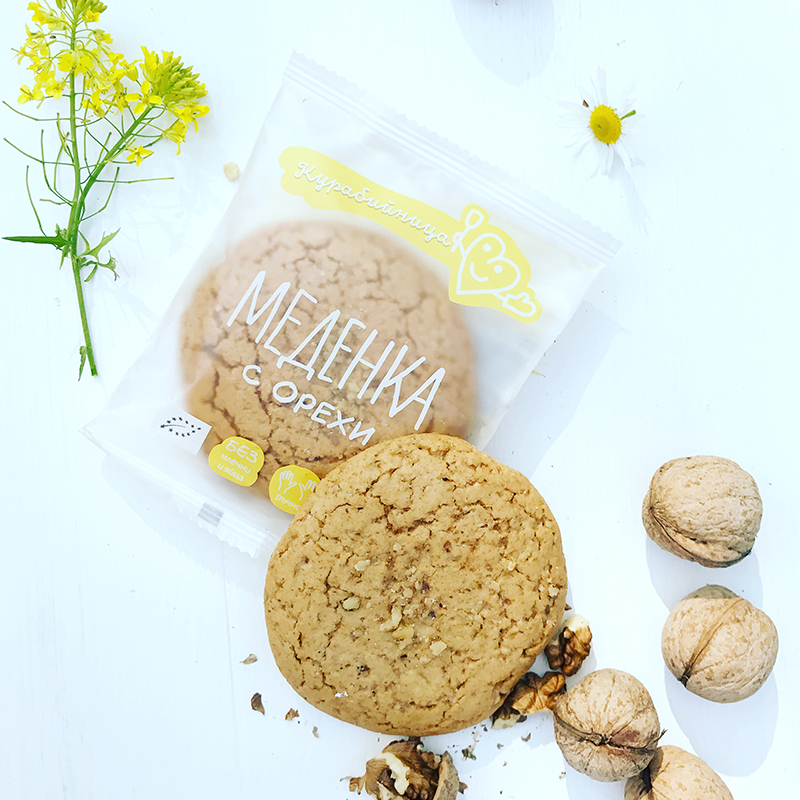 That is why we put in this gingerbread a lavish amount of Bulgarian honey so that it would make your day. Thus coffee and tea become even more delicious. This cookie melts in the mouth and disappears faster than honey dissolves in hot tea. Walnuts and honey is a classic combination, yet this gingerbread is special. Ingredients: wholewheat flour*, wheat flour type 1050*, unrefined cane sugar* (15%), honey* (14%), unrefined sunflower oil*, walnuts* (5%), baking powder* (corn starch*, acidifier: cream of tartar, baking agent: sodium bicarbonate), cinnamon*, ginger*, salt.